It's Christmas time in the forest, but this year there isn't much for the animals to celebrate. It's been a cold, snowy winter and food is scarce. 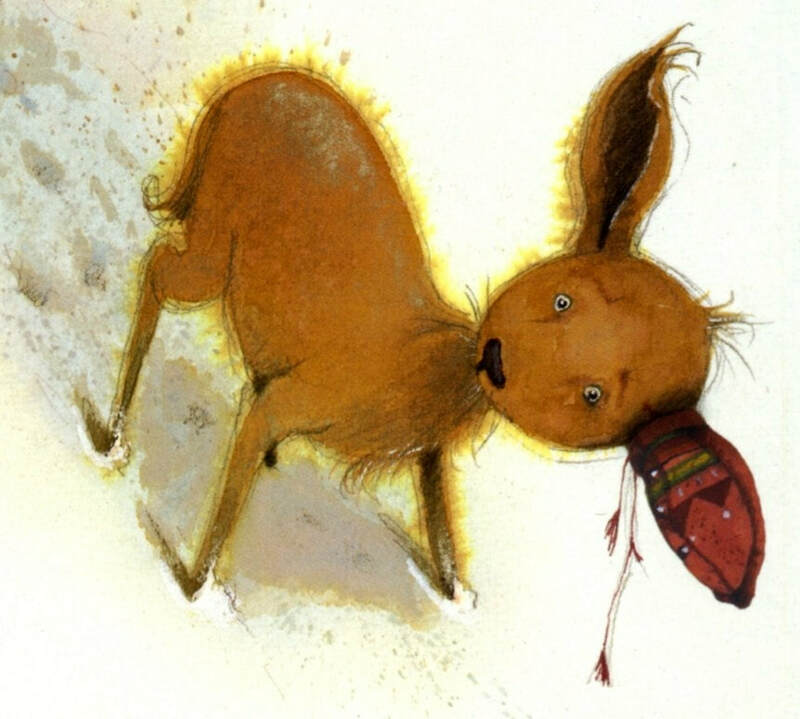 Clara, a little deer, is worried about Christmas, so she wishes on a star for help. The next day Clara hears the sound of bells in the distance. As she follows the magical sound, she is joined by a squirrel and a rabbit. When they stumble onto a stash of nuts and berries, they decide to share it with everyone in the forest. After all, sharing is giving, and that's what Christmas is all about. This beautiful, heart-warming story is about giving and sharing and helping wishes come true. Tharlet's (the Davy books) sweet-faced woodland creatures, including a squirrel in a dashing red scarf and a fawn wearing some sort of folksy ear mittens, are saved by the bell. Well, at least the sound of jingle bells, which leads them to food-a scarcity in the harsh early winter. The mystery jinglers join the animals for a festive and snowy Christmas potluck, heralding the true spirit of sharing. Tharlet's amiable bestiary is a memorably winning crew-wide-eyed, gentle and friendly. And Westerland's light touch ("Osgood told the story of the first Christmas. Donkeys do that especially well") ensures that her uplifting story never gets treacly.